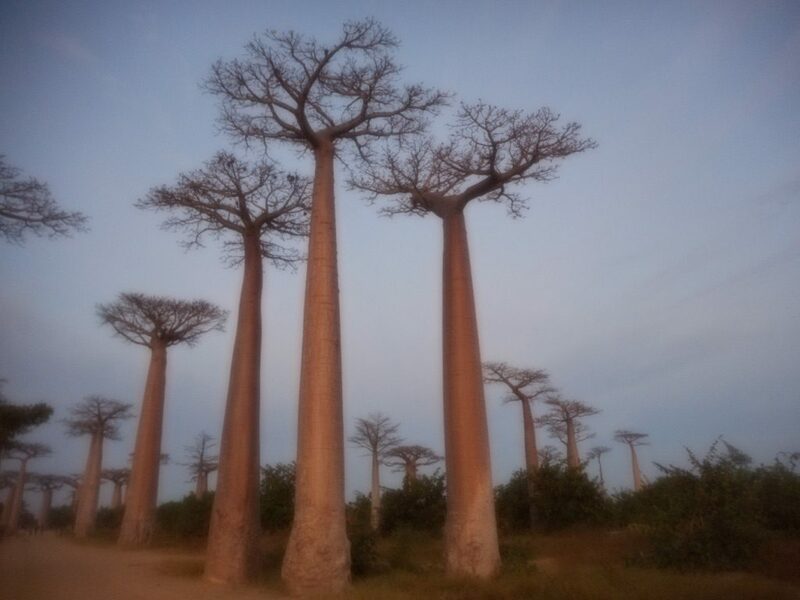 In the center of the western shores of Madagascar is the Menabe Region, where you are apt to sporadically find Baobab trees. (This was amidst an ongoing educational campaign to stop using these trees for firewood and to remember they could support tourism.) 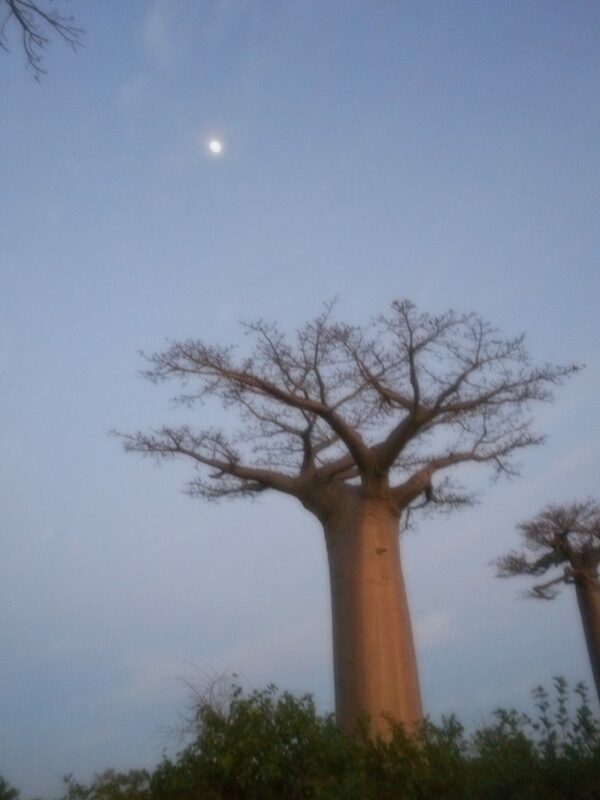 These Baobab trees were big around with smooth bark. In case the photographs don’t show this well, I need to note that if you were leaning against a Baobab tree, you could feel invisible to anyone on its far side. I liked standing close to the trunk and looking way up to see through the distant branches. I didn’t see any birds flying about those branches. It seemed like such a safe spot for a nest, but what do I know of that? 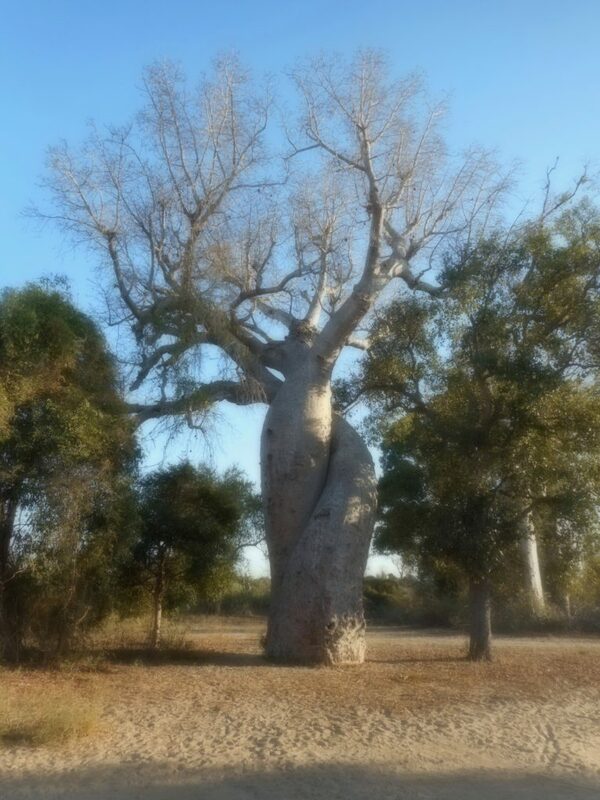 In a clearing, was a huge Baobab with a double trunk that was intertwined. 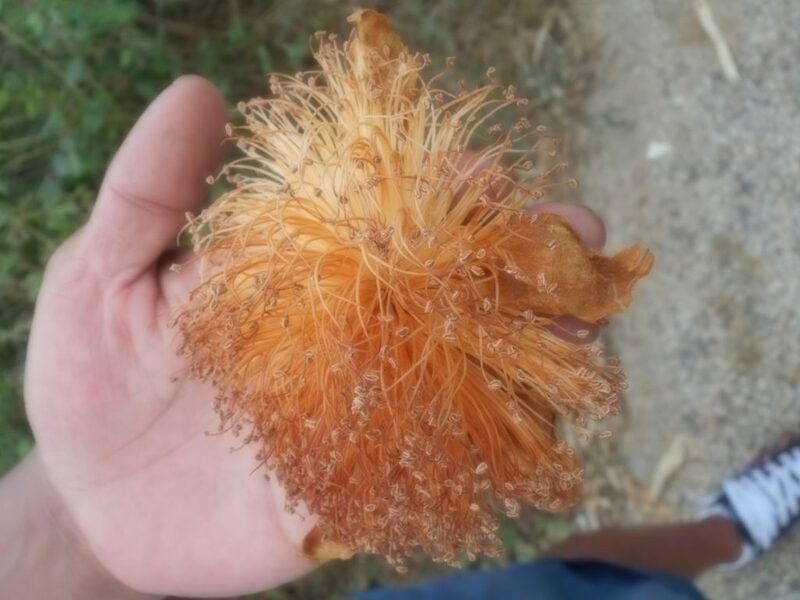 They called it the Sweetheart Tree. In Morondava, the capital of Menabe, is Baobab Alley (or Allée de Baobab in this former French colony of Madagascar). I found a winding dirt road, about 25 feet wide, surrounded by these trees. People lived around the road; it wasn’t like a national park by any means, though it was free of trash. Walking along was a boy with lizard on a stick; he would try to get tourists like me to hold or photograph the lizard for a price. The rumbling in the distance turned out to be a man riding a wooden cart pulled by two zebu (much like oxen). He looked hot and bored. The zebu looked to be resigned to the journey. It reminded me that nothing at Baobab Alley might look magical to those who live there. 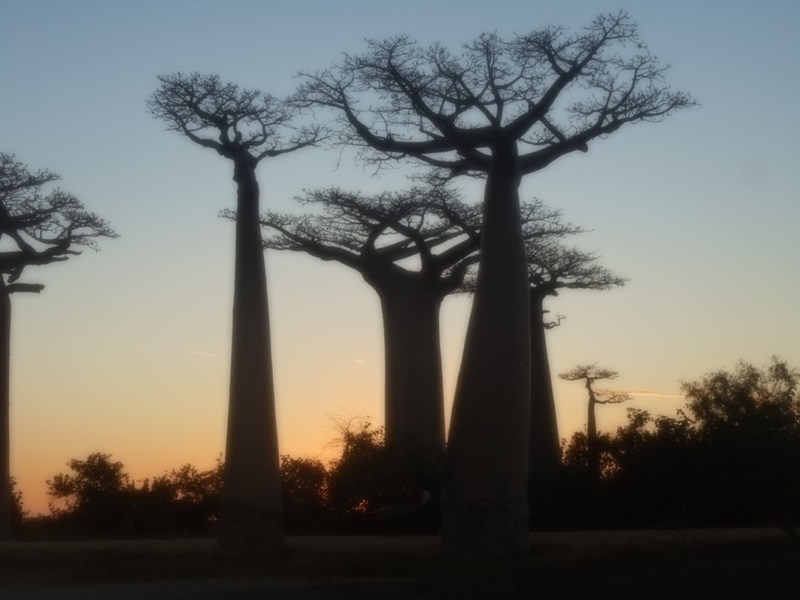 I went to Baobab Alley at both dusk and dawn. I enjoyed the dawn the best and recall a “you’re not in Kansas anymore” sensation as the world became illuminated. Here are some interesting facts about the Baobab Tree.